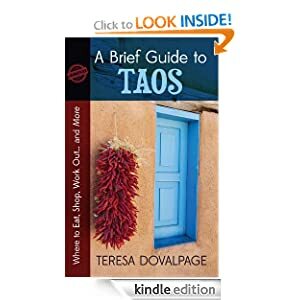 My first eBook, A Brief Guide to Taos. Where to Eat, Shop, Work Out… and More, is already available in Amazon, a Kindle Edition published by Eriginal Books. It is a collection of articles I wrote for Taos News. It contains reviews of local restaurants, shops, hair salons, gyms… and a lot more.